The recent history of cannabis in California demonstrates a split between state and federal law that is rapidly widening. 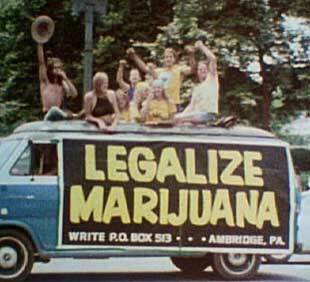 The first U.S. state to have, in 1913, prohibited the use of the devil’s herb imported by Mexican immigrants that was “marijuana”, California was also the first to legalize the medicinal use of cannabis in 1996. 2 weeks ago, medicinal marijuana users celebrated 15 years of Proposition 215, the law legalizing therapeutic use of cannabis in California. The law allows patients in possession of a prescription to grow their own medicine or designate a legal grower (also known as a caregiver) to grow it for them, according to California state law. Federal law, meanwhile, still does not recognize the therapeutic applications of cannabis, and logically the state laws can not override national laws. Since 1996, however, thousands of clinics have opened across the Golden State. This was not accomplished without legal difficulties and not all the dispensaries have remained open, but despite the paradox in legislation, the state’s entrepreneurs still managed to establish an industry of cannabis in California that is now estimated to be worth billions of dollars. Given the very special status of the plant at federal and international levels, the medical cannabis industry in California is exclusively local, from production to distribution. For years the federal government has been trying to destabilize this market by various means. On October 7th 2011, four District Attorneys in the Golden State claimed in a press conference that their goal was to address the production, distribution and marketing of cannabis in California. Shortly after, they sent dispensary owners an injunction to close their shops within 45 days. Since then, the IRS has decided to claim retroactive taxes from the dispensaries in addition to new taxes on the sales of something that is still an illegal substance at a national level. This use of the tax system to put an end to an industry that seems to bother Washington is eerily reminiscent of the 1937 Marijuana Tax Act, which taxed cannabis suppliers all over America. Even the banks are threatened with charges of money laundering if they agree to open accounts for business people involved in the thriving Californian economy of producing and distributing medical marijuana! The legal status of dispensaries is comparable to the Dutch coffeeshop system, with one major difference: dispensaries go against American national policy, whereas coffeeshops have been licensed by the Dutch government. Some Californian cannabis clinics have become essential businesses for their local economy thanks to local taxes, while the federal government prefers not to touch a dime of this revenue. It is these medicinal cannabis dispensaries which are the target of the Obama administration. A complaint has been filed by a group of activists and lawyers to stop this crusade against the clinics, targeting the Attorney General of the United States, the director of the DEA Michelle Leonard and the four District Attorneys who acted without authorization from their supervisors. A confrontation between Washington and L.A? The current situation creates a schism between local power and federal power. 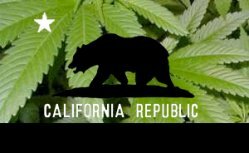 California’s economy is the eighth largest in the world, and cannabis in California allows the Golden State to prosper at the expense of the federal government and its repressive policies. Californians have recently re-elected their former Governor and Attorney General Jerry Brown, who has always supported medical marijuana, and has even introduced legislation to improve the legal status of patients with prescriptions for cannabis. He also proposed that the distribution should be taken care of by non-profit organizations. The support from Governor Brown, the complaint filed against representatives of the federal government and the choice of the people at the polls are all clear indicators of opposition to the policies of the federal government. All that remains to be seen is how much wider the divide between state and federal law will be allowed to grow before one of the two sides makes a decisive move on the future of cannabis in California. 1. Don´t Over water – Over watering kills weed plants. Water once the top few inches of the soil dry out. Hydroponics is harder to over water because rockwool has such excellent drainage properties. As long as the rockwool cubes are not sitting in liquid it is virtually impossible to over water a hydroponic setup. A hydroponic setup could either be watered constantly as the drip method, or once to three times a day as in the flood and drain method. 4. Grow seeds from seeded weed – One of the greatest disappointments known to the growing man.